I’m not sure what they were going for with Freddy’s Dead: The Final Nightmare, but the summation of what they produced is simply… bizarre. Of course it’s not the final round, they never can resist churning out meta reworking, crossovers and remakes, rendering the ‘final’ titles hilariously redundant (the ‘final’ Friday The 13th chapter is only the fourth entry in a franchise that soared into double digits). It’s silly more than anything else, like the New Line Cinema boardroom passed around the laughing gas and spit-balled out this cartoonish, random, cameo stuffed looney bin of a flick. Actually, writing credit goes to director Rachel Talalay, who also helped the equally silly rumpus cult classic Tank Girl, which is lovable in it’s own right. 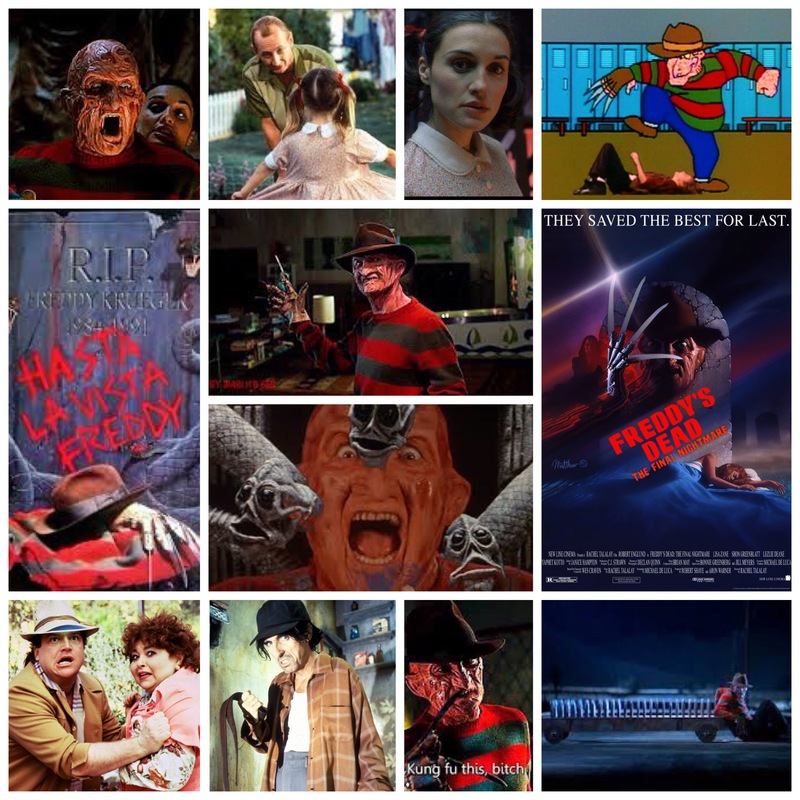 Speaking of silly, Robert Englund’s Freddy Krueger has never been more buffoonish than here, the culmination of every one line and quip throughout the franchise. He’s back, hunting down the last remaining Springwood teenager, as well as a woman (Lisa Zane) whose connection to his past could be dicy for him. There’s also a weird backstory angle involving dream demons that look like sentient tadpoles who apparently are responsible for Freddy’s initial resurrection and powers. Hmm. The cameos seem like they just made a celebrity collage on a dartboard, blindfolded each other and flung them all over. Alice Cooper shows up in flashbacks as Freddy’s sadistic stepfather, Roseanne Barr and Tom Arnold are around, plus Breckin Meyer and Yaphet Kotto. The rule of randoms is excepting Johnny Depp of course, an Elm Street veteran who has a quick bit as a TV advertisement dude. The dream sequences are wild and wacky, but never really frightening or as atmospheric as they used to be, the one springing to mind being a video game themed thing where pixelated Freddy chases a victim Super Mario style, not exactly the most bone chilling setting, but oh well. This does mark the last of the initial franchise before they moved on to deluxe entries like the super meta New Nightmare and the gong show that was Freddy Vs. Jason. If you’re looking for the weirdest Elm Street flick, you’ve found it, and if you’re looking for a scary, coherent one then you’ll have to backtrack earlier in the franchise, or skip ahead to Wes Craven’s excellent next one.